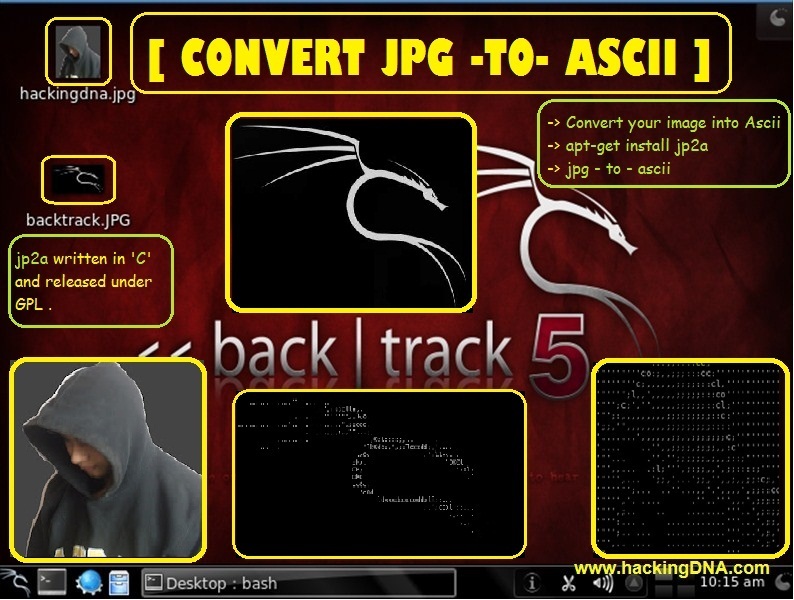 To convert your image into Ascii , you have to install a small utility known as ' jp2a '. jp2a is a small linux utility . 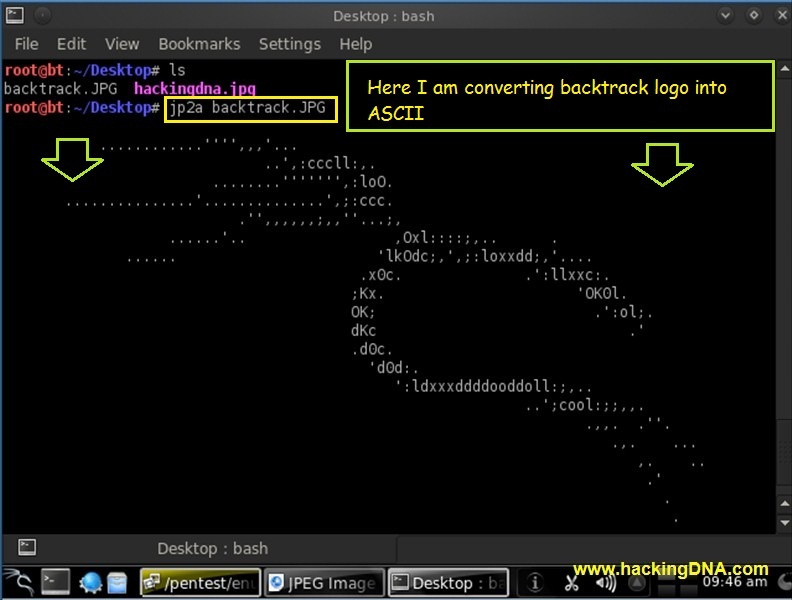 With 'jp2a' you can convert your jpg images into ascii . To install this utility you have to use a simple command shown here as well as in the image also . To convert image you have to use simple command . For Example1 : Here my jpg image is stored on Desktop . So firstly,I use cd Desktop command to change the directory . Then I use ls command to view all files .